Illamasqua Pink Raindrops came out awhile ago but I just got my hands on it. This is a cool-toned pink with pink and gold iridescence and subtle silver/white flake glitter. I don’t own the original Raindrops, which is a light blue/grey with a similar finish, but this one wasn’t exactly easy to work with. 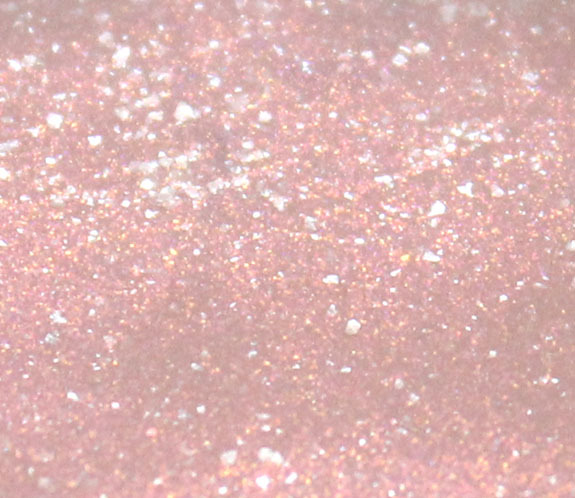 Pink Raindrops is a muted pink base with that really pretty gold and pink pearly iridescence, and then white/silver flake glitter. The thing is, the polish is fairly thick and doesn’t really want to level out. It can look a wee bit lumpy, which is not fabulous. It does only require two thin coats, so if you work carefully and use a nice top coat like Nubar Diamont, it pretty much evens out. Did you pick up Pink Raindrops?